The intended audience for the activities is family physicians and other health care professionals involved in the treatment of patients with type 2 diabetes mellitus. Primary care physicians are at the front line in the management of type 2 diabetes, and must therefore be aware of emerging therapies for this disease. 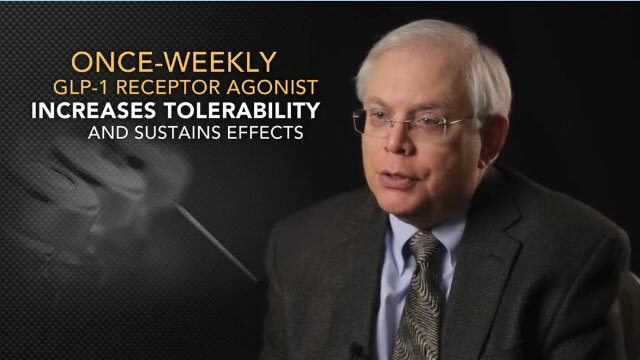 During this four video-series, leading clinicians will review the efficacy and safety of available glucagon-like peptide-1 (GLP-1) agonists, namely exenatide, liraglutide, and exenatide extended-release. Special attention will be given to the potential cardiometabolic benefits of these agents. 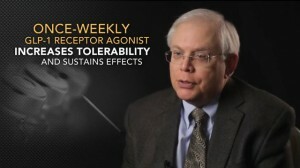 These experts will also review the indications for the use of these agents in combination with insulin. Factors that may improve treatment adherence, such as the use of a pen and the lower frequency of injections with the extended-release formulation, will be evaluated. This enduring material activity, Managing the Full Spectrum of Cardiovascular Risk Factors: A Closer Look at GLP-1 Agonists, has been reviewed and is acceptable for up to 1 Prescribed credit(s) by the American Academy of Family Physicians. 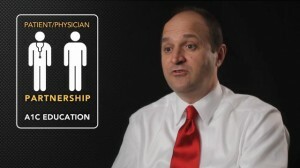 AAFP certification begins December 18, 2012. Term of approval is for one year from this date with the option of yearly renewal. Physicians should claim only the credit commensurate with the extent of their participation in the activity. Vindico Medical Education designates this enduring material for a maximum of 1.0 AMA PRA Category 1 Credit™. Physicians should claim only the credit commensurate with the extent of their participation in the activity. To receive up to the maximum of 1.0 AMA PRA Category 1 Credit™, you must view each of the videos, complete each test associated with the video, achieve a score of 75% or higher on each test, and complete an evaluation form. You will then be able to print out your CME certificate. Examine the potential utility of GLP-1 agonists in reducing cardiometabolic risk factors in patients with type 2 diabetes. Discuss the combined use of GLP-1 agonist therapy and insulin to improve glycemia, and aid in the reduction of A1C, weight, and insulin requirements. Assess the use of longer acting GLP-1 agonists for their ability to achieve A1C targets, and minimize adverse events such as weight gain and hypoglycemia that may affect adherence to therapy. Each faculty member has provided the following disclosure information, which is accurate at the time of printing. 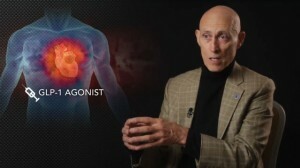 Robert J. Chilton, DO has a relationship identified with: Consulting Fees – Amylin Pharmaceuticals, Boehringer Ingelheim, GlaxoSmithKline, Merck Sharp & Dohme, and Takeda. Scott V. Joy, MD has a relationship identified with: Consulting Fees – Lilly and Janssen. Louis H. Philipson, MD, PhD has a relationship identified with: Consulting Fees – Takeda; Contracted Research – Novo Nordisk, Lilly/Amylin, Merck and Takeda. John J. Russell, MD has a relationship with: Fees for Non-CME Services Received Directly from Commercial Interest – Sanofi Pasteur. Mark Schutta, MD has a relationship identified with: Salary – Spouse is a director at Merck; Ownership Interest – Spouse owns stock options at Merck. The planning and review staff of Vindico Medical Education has nothing to disclose. The material presented at or in any Vindico Medical Education continuing education activity does not necessarily reflect the views and opinions of Vindico Medical Education. Neither Vindico Medical Education nor the faculty endorse or recommend any techniques, commercial products, or manufacturers. The faculty/authors may discuss the use of materials and/or products that have not yet been approved by the U.S. Food and Drug Administration. All readers and continuing education participants should verify all information before treating patients or utilizing any product. This presentation is not intended to define an exclusive course of patient management; the participant should use his/her clinical judgment, knowledge, experience, and diagnostic skills in applying or adopting for professional use any of the information provided herein. Any procedures, medications, or other courses of diagnosis or treatment discussed or suggested in this activity should not be used by clinicians without evaluation of their patients’ conditions and possible contraindications or dangers in use, review of any applicable manufacturer’s product information, and comparison with recommendations of other authorities. © All documents and videos accessed from this page are viewed as a resource of Vindico Medical Education©, all rights reserved and BetterCME©, all rights reserved.